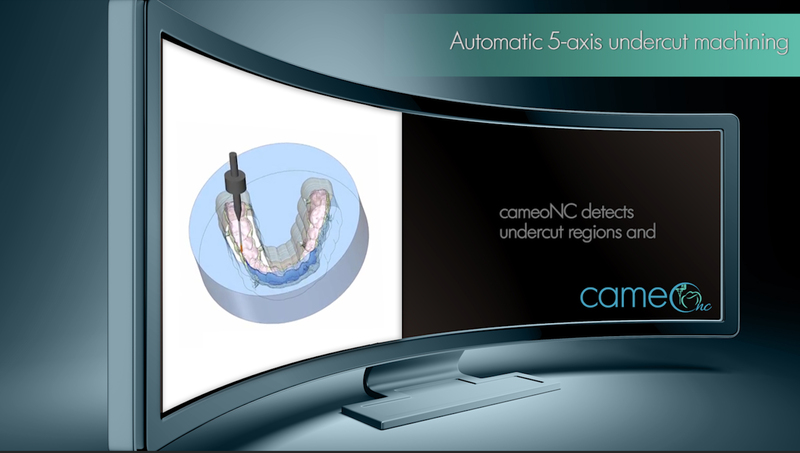 Machine Complex Bridges, Dental Bars & Implant Abutments Not Otherwise Possible. Contact Us Purchase now ! Intelligent & fully automated 5-Axis processing provides greater accuracy, higher-quality finishes & reduced hand-finishing. 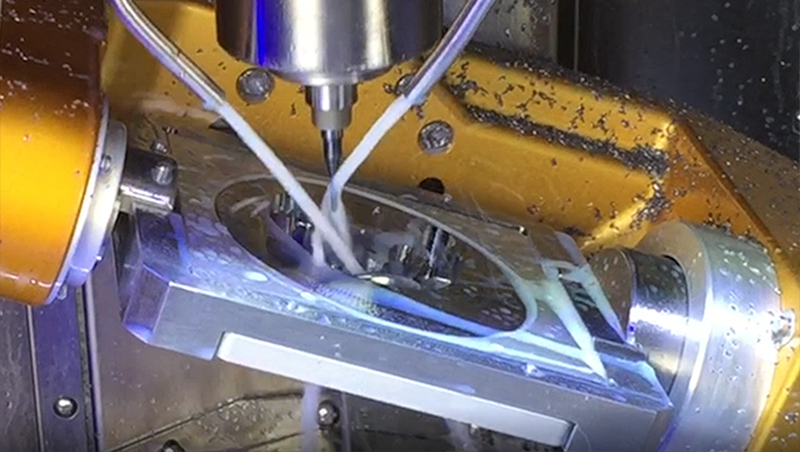 Generally Speaking, 5-Axis machining is a manufacturing process where computer numerically controlled axes moved in 5 ways are used to manufacture parts out of metal or other materials by milling away excess material. Typical CNC tools support translation in 3 axes; multi-axis or 5-axis machines also support rotation around one or multiple axes. The number of axes for multi-axis machines varies from 4 to as many as 9. Each axis of movement is implemented either by moving the table (into which the workpiece is attached), or by moving the tool. The actual configuration of axes varies; therefore machines with the same number of axes can differ in the movements that can be performed. 5-axis machining can be broken down into two different categories; full, simultaneous 5-axis machining and 3+2 5-axis machining. In simultaneous 5-axis machining, the machine tool’s three linear axes (X, Y and Z) and two rotational axes (A and B) all engage at the same time to perform complex contour surface machining particularly important in the finish machining of undercut areas. 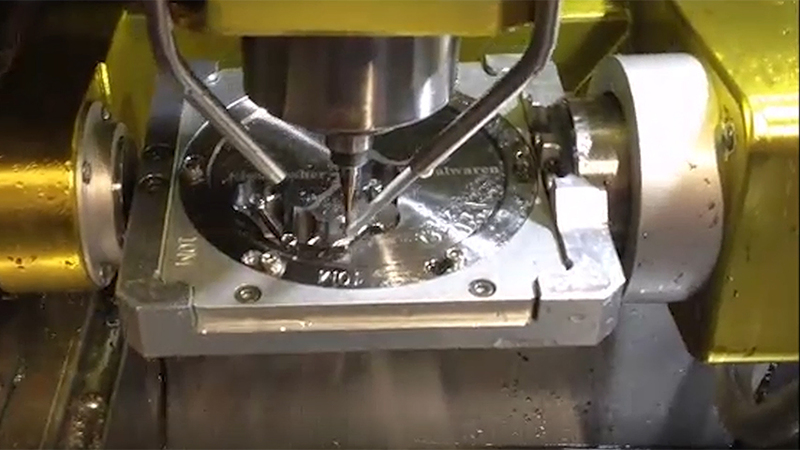 There are many advantages of full 5-axis machining, all of which significantly impact finished product quality, productivity and profitability. tool path in localized region. Highly desirable for models and full-arch bridges. Not all machines or CAM software support simultaneous 5-axis machining nor do all restorations require it. Fixed motion or 3 + 2 machining is a technique whereby a three-axis milling program is executed with the cutting tool locked in a tilted position using the five-axis machine’s two rotational axes, hence the name, 3 + 2 machining. It is also called “positional five-axis machining” because the fourth and fifth axes are used to orient the cutting tool in a fixed position rather than to manipulate the tool continuously during the machining process. and speeds with less tool deflection. A number of CAM software suppliers have developed special utilities to create tool paths for 3 + 2 or simultaneous 5-axis machining. Not all five-axis programming software includes provisions for both techniques. Like all software capabilities, ease of use and effectiveness of 5-axis machining utilities vary in each CAM software solution. Utilities for 5-axis machining also vary according to the level of automation available within the automated machining templates provided by the machine manufacture or distributor. 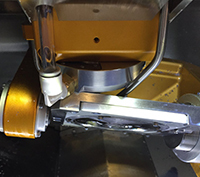 Establishing the workplane and machining zones; setting travel limits for cutting tool motion; and controlling the tool angle are some of the steps that might be more or less automated, depending on the system. Almost all CAM software suppliers that offer multi-axis machining for five-axis machines emphasize the importance of effective collision avoidance. Potential users should evaluate the collision avoidance and program simulation capabilities of the CAM software being offered. 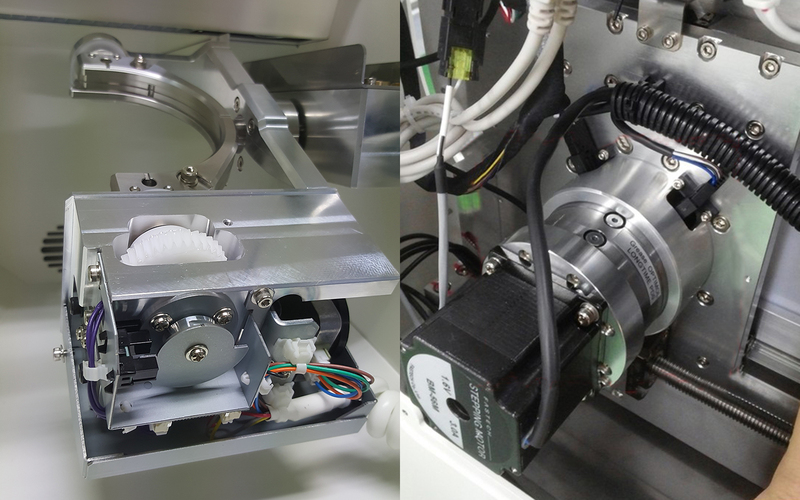 Beyond the type of 5-axis motion that is supported the effectiveness and resulting restoration quality and tool life are governed by drive construction characteristics (such as fixture configuration, rotary axis stack and gearing) as well as actual drive rotational limits. Generally, the two rotary axes that comprise a 5-axis machine are the A-axis, which rotates around the linear X-axis and the B-axis, which rotates around the linear Y-axis of a machine. 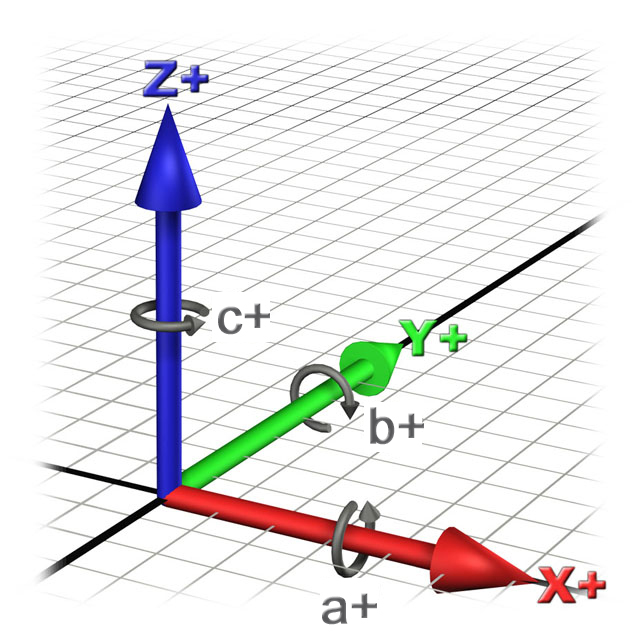 Depending on configuration, one of the rotary axes should provide a full 360 degrees of rotation, while the other will be limited to an angular range. The limits of this rotational axis is governed by internal construction characteristics and in large part by part geometry and the machines external components such as; fixture configuration, coolant nozzles, spindle geometry, Z-axis head dimensions and the like. Although a machine manufacturer my provide a specification for theoretical rotary axis operational range, in practical terms it is likely other elements will limit it actual range which may limit its use or in some cases, without sufficient CAM software collision detection or verification capability, result in machine, part and tool mechanical interference - potentially causing damage to all involved elements. Reduction ratios and gear materials. 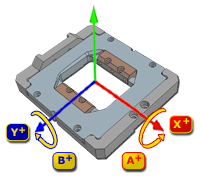 The interface between the motor and the axis rotary assembly must be of high precision and made of high-strength materials with high resistance to wear and slippage. Compare on the right, the Versamill's heavy-duty gear reducer constructed from high-strength steel with the vibration-prone, light-weight rotary drive assembly typical of competitive solutions. with higher-quality fit & finish. Compare the Versamill's fully-supported fixture on the right with that of the partially supported fixture utilized on a popular competitive solution. and accurately at high cutting rates. Compare the Versamill's zero stack tolerance rotary configuration on the right with the extreme configuration found in a competitive solution. Address: 29627 West Tech Dr. 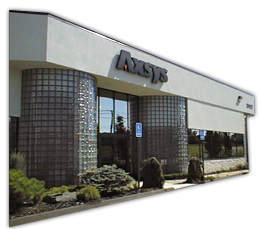 Copyright © 2017 | www.axsysdental.com | All rights reserved.